Jonathan & George co-owner and colorist Amanda George truly is a master of her craft, and the proof is in the pictures. Along with amazing hair color creations, Amanda is known for offering custom hair oil treatments for her clients to repair extremely damaged, dry hair. 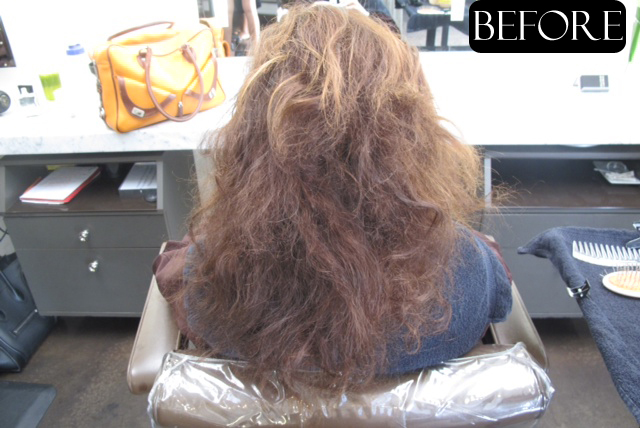 Check out this before and after – prior to color, Amanda treats the hair with her own oil formula to help restore and keep the integrity of natural, healthy hair.